Before I blog about my latest polymer clay project, I’d like to mention three inspiring polymer clay books added to my collection. 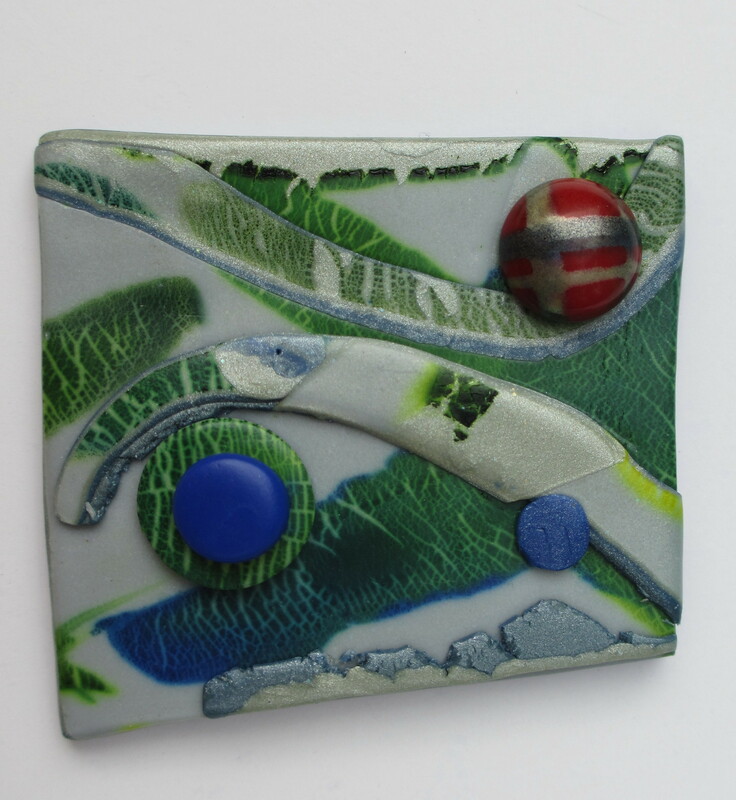 Polymer Clay Surface Design Recipes, by Ellen Marshall, explores 100 mixed-media techniques plus project ideas. Julie Picarello’s, Patterns in Polymer Imprint & Accent Bead Techniques, provides recipes for successful color palettes, her polymer imprint technique based on the art of mokume gane and jewelry construction. 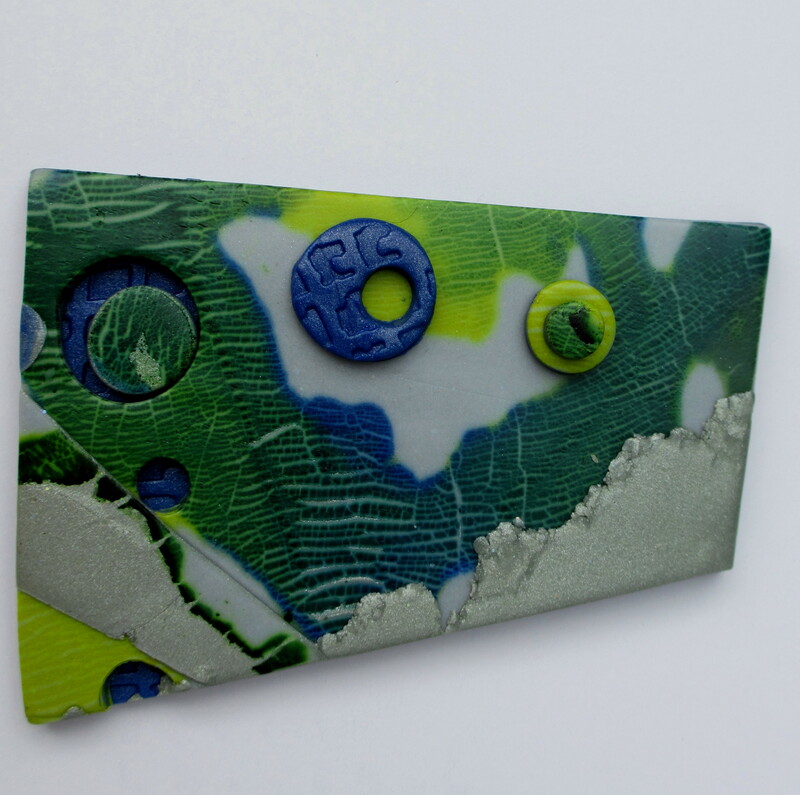 Polymer Clay Global Perspectives compiled by Cynthia Tinapple, discusses emerging ideas and techniques from 125 international artists. I find all three books inspiring, exciting and educational. Layer Upon Layer visually documents the use of alcohol inks, translucent and opaque clay. 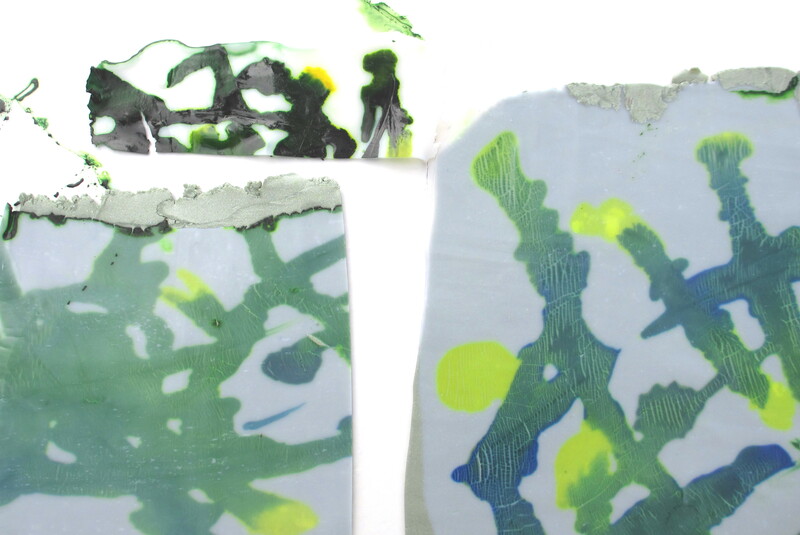 The top left image shows ink applied to the translucent clay. The lower left and right images are examples of the inked translucent clay after drying placed on top of a sheet of opaque clay. The movement of the dye and cracking of the translucent clay, presented an opportunity for design. By taking advantage of the design on the surface, I added a dimension of interest by building a picture. Through the use of cutouts and a backing piece of clay, another dimension of mystery unfolds as the eye looks into the piece. Are these two pieces destined to become utilitarian objects? Perhaps I’ll admire them for awhile.